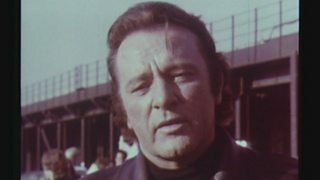 A selection of favourite programme clips, from major landmark series to contemporary documentaries which have been made for BBC Wales audiences which form the Wales Collection. 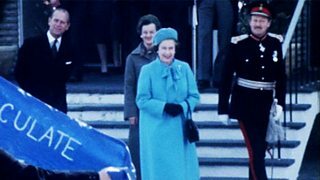 8 May 1982: Queen Elizabeth II and The Duke of Edinburgh visit Pembroke. 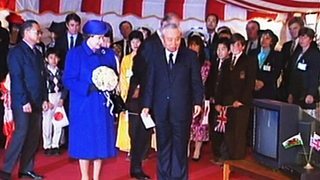 March 1973 - Queen Elizabeth II opens the new community centre in the village of Aberfan. 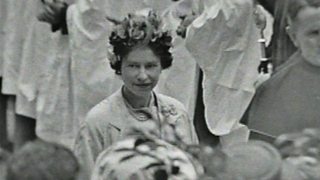 Queen Elizabeth II begins her Wales Diamond Jubilee tour at Llandaff Cathedral. 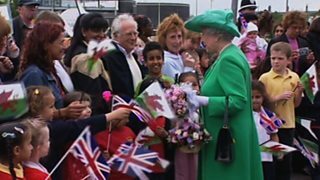 Thousands of children greet Queen Elizabeth II on her Golden Jubilee tour of Wales. 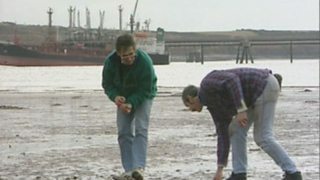 Programme looking at two fishermen following the Sea Empress disaster at Milford Haven. 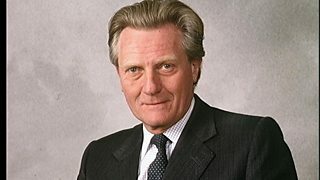 Former deputy Prime Minister, Lord Michael Heseltine, returns to his Welsh roots. Burton on the set of ‘Villain’ where he records a film for the National Coal Board. 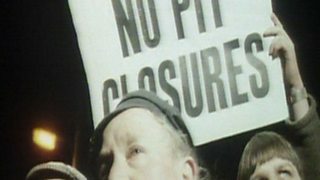 Memories of how the causes of the 1984 coal miners' strike were understood in Blaengarw. A film about World War One by children who remember their relatives. 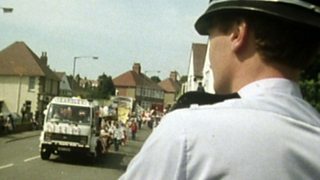 Coal miners march in a Rhymney valley town in the miners strike of 1984-1985. 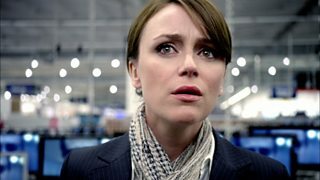 DI Alex Drake walks through a present day department store but sees visions of the past on the TV screens. 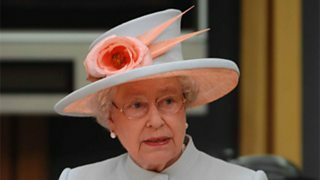 The official opening by Queen Elizabeth II of The University Hospital of Wales, Cardiff. 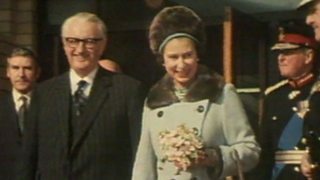 Queen Elizabeth II and the Duke of Edinburgh on their first visit to Llandaff Cathedral. 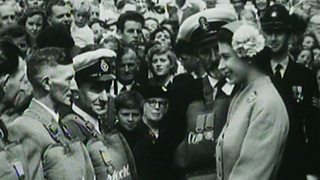 8 August 1955: the Royal tour of Wales concluded with a visit to Pembroke Castle. 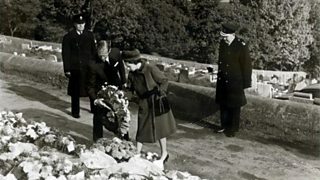 30 October 1966 - 9 day after the disaster Queen Elizabeth II visits Aberfan. 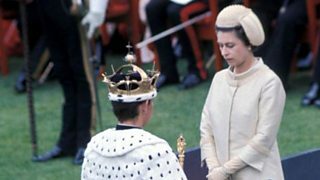 1 July 1969, the investiture of His Royal Highness Prince Charles. 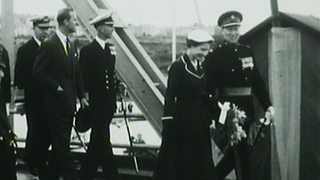 Queen Elizabeth II and the Duke of Edinburgh in Cardiff for the Golden Jubilee assembly. 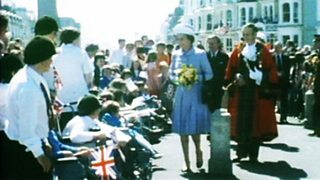 Queen Elizabeth II and Prince Philip visit Harlech and Llandudno. 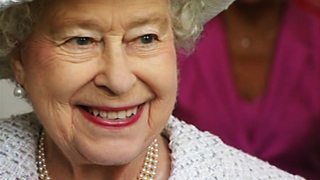 June 2007, Queen Elizabeth II officially opens the third session of the Welsh assembly. 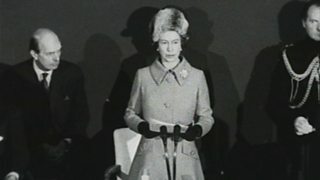 Queen Elizabeth II, accompanied by the Duke of Edinburgh, opens Morfa Athletics Stadium. The royal couple meet the St David's lifeboat crew on the second day of their tour. 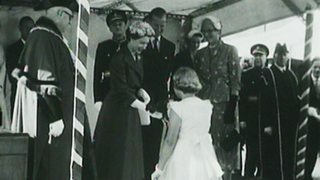 7th August 1955, the royal couple visit the newly constructed Usk Reservoir. 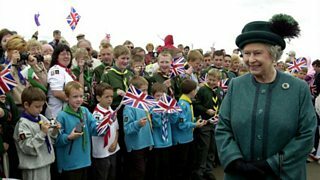 Queen Elizabeth II made her first visit to Caernarfon, Gwynedd, in 35 years. 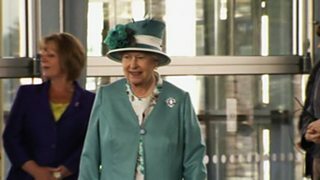 Queen Elizabeth II officially opens the fourth session of the Welsh assembly.